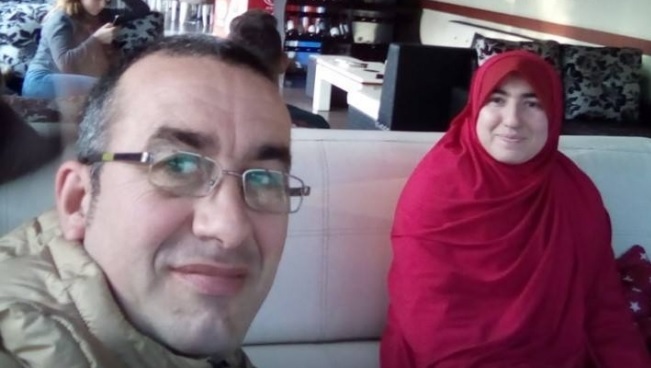 An employee of the Guard of the Republic of Albania has killed with his gun his 36-year-old wife, Ervilma Seferi. The incident occurred today in the couple's apartment at Allias, while the employee of the Guard, Alket Arapaj is arrested by police after the assassination. Still are not yet known the causes and motives that drove the 44-year-old to kill his wife with the gun of service. "Police Services of Commissariat No.4, in cooperation with the HPD, arrested in flagrant the citizen A. A., 44 (employee of the Guard of the Republic). At about 6 am in his apartment in Allias, he allegedly killed his 36-years old wife with the weapon of the service, . The materials are referred for further action to the Tirana District Prosecutor's Office for the criminal offense of "Homicide Murder." - the police announces.